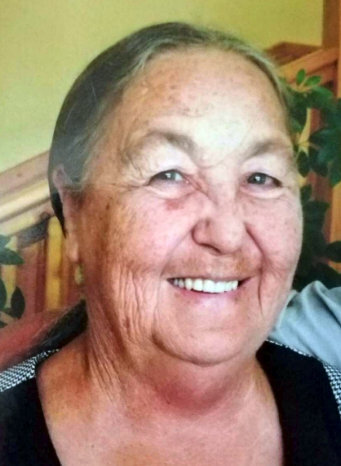 A memorial service for Carolyn Sue Rumple, 67, Peace Valley, Missouri, will be held at 2:00 p.m., Friday, February 1, 2019 in the Rose Chapel at Robertson-Drago Funeral Home. Mrs. Rumple passed away at 3:37 p.m., Sunday, January 27, 2019 at her home. She was born August 9, 1951, at West Plains, Missouri, to Elbert Albert “Eb” Young and Vanna “Iretta” Hicks Young. On February 2, 2008, she was married at Willow Springs, Missouri, to Stephen Rumple. She loved her family and enjoyed spending time with her grandkids and baking. She is survived by her husband, Stephen Rumple, of the family home; three children, Angela Crites and husband, Joe, Peace Valley, Missouri, Theresa Braswell and husband, Courtney, West Plains and Marva Shelley and husband, Mike, West Plains; two step-sons, Eric Rumple and wife, Brett and Stephen Rumple, Jr., and wife, Jenny, all of Peace Valley; seventeen grandchildren; seventeen great-grandchildren; one sister, Linda Ross and husband, Howard, Kansas City, Missouri; one brother-in-law, Dickie Stephens, West Plains; and several nieces and nephews. Her parents, two grandchildren, Cecilia Parker and Keeley Collins, one sister, Rita Stephens and one brother, Eddie Young, preceded her in death. We are so sorry about Carolyn’s death. We know she is resting peacefully until Jesus returns. Sorry to hear of Carolyn’s passing. Carolyn will be missed. She was always so sweet to me. She was courageous and patient. May your memories bring you comfort.